This article first appeared in El País on 11 April 2014. It has been translated without permission for the Mexican Journalism Translation Project (MxJTP). Mario Segura is a short man with brown hair. He smiles a lot. He is 52 years old. From the very first moment of meeting him he seems pleasant. He is a journalist but he also performs with his family as a clown. On stage they call him Papa Mayito. He is the editor of the magazine El Sol del Sur, and the muckraking blog, Alerta Oportuna, based in Tampico, Tamaulipas (in Northeast Mexico). That’s why he was kidnapped. They let him go eight days later. He is the first journalist registered under the government’s Protective Mechanism for Human Rights Defenders and Journalists. He is blowing the whistle on the mechanism: it didn’t help him at all. When he’s asked if he wants his photograph taken for this newspaper, he responds forcefully, “Of course. I have never been a journalist who wants to hide. I am not one to publish and then hide. I am also a person. I have a face. I exist.” Mario Segura is alive and he is a survivor of the war in Tamaulipas. Mexico’s Congress approved the Law to Protect Human Rights Defenders and Journalists in June 2012. The Office of the UN High Commissioner for Human Rights in Mexico welcomed the law’s passage. But Segura complains that even though the letter of that law includes the Mechanism to Protect Human Rights Defenders and Journalists, it’s not effective. “It’s meant to protect me in three different ways: psychologically, legally, and take care of my safety.” He asserts that it has not fulfilled its obligations in those three areas. Since 2012 the Mechanism’s budget has amounted to 300 million pesos (almost USD$23 million), and it has failed to process 57.8% of its cases. Of the 152 applications it has received, NGOs complain that it has not even reviewed 88 of those. People who have been threatened are meant to receive some sort of response from the government in less than ten days. Some cases have not been reviewed in more than eighteen months. These cases concern people whose life has been threatened or who have been kidnapped. The Interior Minister, Miguel Ángel Osorio Chong, recognizes that the initiative is “a failure.” He has promised to restructure it, but has not provided a date when that will occur. Mexico is one of the most dangerous countries to practice journalism, according to Reporters Without Borders (RSF). Since 2010, 31 journalists have been murdered. Mario Segura – the first journalist registered by the Mechanism – explains that he quit the government’s provision of psychological assistance because the appointments were disorganized, forcing him to move through the vastness of Mexico City. The legal aid was more like “having a chat.” He says he attended talks where a lawyer explained what he had to do, but the state would never pay for legal representation. Lastly, in regards security, he comments that he was provided with a phone number that, in theory, was meant to be a “panic button” but Segura was never sure if it would function. He has not received any type of special protection, even though after the kidnapping, he has been explicitly threatened. He was also offered medical coverage, but when he went to check his sugar levels (he suffers from diabetes) he discovered that the center he was sent to did not have the means to measure glucose levels. Segural left Tamaulipas with the help of the NGO, Artículo 19. They paid for his flight and his hotel for three months. He rues the “lack of solidarity” among Mexico’s journalists. “Officials think its better to buy off the media and use them to undermine our complaints,” he says. “What happened with Goyo was something exceptional. I hope it can happen again. There are so many of us…” He’s referring to Gregorio Jiménez, a humble journalist kidnapped and murdered in Coatzacoalcos (Veracruz) this February. The crimes against Gregorio provoked a wave of unexpected indignation among Mexico’s journalists. A group of independent journalists a few weeks ago presented a report that identified multiple problems in the investigation. Does he regret publishing? Again, he replies with conviction: “No.” He explains that he is tired of having to stay quiet and that the severity of the situation in Tamaulipas demands speaking out. “I miss Tampico very much. My parents, my pals, my friends. But I can’t stay quiet. We can’t shut up.” Since he left Tamaulipas, Mario Seguro has not been able to find work as a journalist. JournalistVerónica Calderón reports from Mexico for El País. Follow Calderón on Twitter @veronicacalderon. This story first appeared with the title, “La historia de Papa Mayito: periodista y secuestrado,” available at: http://internacional.elpais.com/internacional/2014/04/11/actualidad/1397250509_404092.html. The Misión de Observación into Gregorio Jiménez’s kidnaping and murder released an executive summary and its report in Mexico City on 19 March 2014. This executive summary has been translated without permission for the Mexican Journalism Translation Project (MxJTP). On 15, 16, and 17 February a group of 16 journalists along with several members of four organizations in defense of freedom of expression, formed an Observation Mission with the aim of investigating the kidnap and murder of reporter Gregorio Jiménez de la Cruz. We traveled to Coatzacoalcos and Xalapa and we interviewed more than 60 communicators: reporters, editors, directors of media outlets; Gregorio’s family and friends, as well as state and federal officials. We had access to the file that the Veracruz State Attorney General’s office has built and we reviewed the stories published by Gregorio in the six months before his murder. We visited the residence where the kidnap occurred and the place where, a week later, the journalist’s body was found. Today we present this report as the result of a team effort. We analyze the possible causes behind the crimes against Gregorio, the context in which he worked, and the responses of authorities. The kidnap and murder of journalist Gregorio Jiménez cannot be understood without taking into consideration the alarming, violent context of Veracruz, especially in the state’s south. The government’s inaction concerning security and justice has clear and direct repercussions in the daily work of communicators. These factors explain the list of murdered journalists, disappearances, displacement, and the constant violations of freedom of expression in the state. For those reasons the present report includes a detailed analysis of the practice of journalism in Veracruz: testimonies and facts that detail precarious and risky working conditions for communicators. The official investigation demonstrates that there is sufficient proof in Gregorio Jiménez’s case file that he was kidnaped and murdered because of his journalism. However, public prosecutors have avoided recognizing the crimes as a direct attack on freedom of expression by an organized crime group that operates in the southern part of Veracruz. The State Attorney General has focussed only on one line of inquiry, even though clear proof exists for at least two lines of inquiry that could reveal a criminal structure. Neither the Public Prosecutor nor the Federal Prosecutor’s Office for Crimes against Freedom of Expression (FEADLE) have investigated and nor have they deepened the inquiry into Gregorio’s journalism. Neither one of the journalist’s tools he used for work – not his computer, nor his camera – and which his kidnappers tried to take with them were submitted to review. The statements, evidence, and procedures running throughout Gregorio’s case file show the deficiencies and inconsistencies on the part of officials who participated in the emergency response to the kidnaping. For example: the case file does not record the deployment of police officers to locate the reporter. There is no official communication if that action occurred or how it was executed: when it began, how many officers participated, how they were organized, where they looked and how they looked, which techniques they used, and how long the search operation lasted. One of the essential questions is whether or not the security forces’ response was actually timely and effective. We also found faults in favour of the six people who currently stand accused of the crimes against the journalists. For example, investigators lacked warrants, did not provide evidence and investigative orders, including corroboration of the facts. The case file does not explain how authorities found out who was responsible, how they located them, or how they discovered the safe house where Gregorio was detained and the location of his clandestine grave. The statements of all of those currently detained only provide basic information about the facts, and officials did not question, deepen, verify, or provide further records about the events. The accusations against those detained find their principal support in the confession of José Luis Márquez Hernández, who took responsibility for executing the crimes, and led the cell that kidnapped and murdered Gregorio. The State Prosecutor is responsible for strengthening this evidence but as occurred in the case of the murder of journalist Regina Martínez has acted to the contrary and so those detained could be freed. Several of those detained state that they were tortured to incriminate themselves. In the case file, medical certificates do not exist that document their physical and mental state before and after making a statement. Similarly, it is noteworthy that days after the formal order for their imprisonment, people from Las Choapas complained that officers from the Agencia Veracruzana de Investigaciones (AVI) “detained” nine residents from the township as they looked for those responsible for the journalist’s kidnaping. After 24 days, seven people reappeared who had been illegally taken. A 14-year old minor and youth Natividad Cacho Gómez are still missing. It is absolutely necessary that the State Prosecutor clarify these facts and indicate who is responsible. The State Prosecutor, at least in official speeches, maintains that the investigations into Gregorio’s murder will continue, but there has been no progress. Given that it is evident that the investigation still remains to be deepened, the case cannot and must not be considered closed. Also responsible for investigating the case are the Subprocuraduría Especializada en Investigación de Delincuencia Organizada (SIEDO – the Organized Crime Prosecutor) and the Fiscalía Especial de Atención a Delitos cometidos Contra la Libertad de Expresión (FEADLE – the Federal Prosecutor for Crimes against Freedom of Expression). Yet, in spite of their specialized foci, neither have registered advances in the case. 1. The Veracruz State Prosecutor must recognize that the murder of Gregorio Jiménez can be strongly linked to his work as a journalist. 2. The State Prosecutor must correct the deficiencies identified in this report. It must clarify, state, and thoroughly develop an investigative inquiry into Gregorio Jiménez de la Cruz’s journalism. 3. We repeat our request that the Veracruz Prosecutor permit us access to other case files about murders and disappearances of other journalists in the state. 4. We demand that the Fiscalía Especial de Atención a Delitos cometidos Contra la Libertad de Expresión (FEADLE), use all of its juridical capacities to take over the investigation, bringing it to conclusion and presenting the case to a federal judge, so that it might process and punish those responsible. 5. The FEADLE must immediately publish a detailed report explaining why it did not take the case of reporter Gregorio Jiménez. 6. We demand that under national laws and international treaties, Gregorio Jiménez’s family must be provided with all security measures given that they are both witnesses to and victims of a crime. 7. We request the state government establishes a permanent fund for murdered and disappeared journalists from the state and that it execute this under the supervision of civil society and journalist organizations. 8. The Executive, Legislative, and Judicial Powers in the state of Veracruz must publicly acknowledge the negative situation that confronts journalists and communications outlets in the state. 9. A law to protect the right to practice journalism must be urgently passed. It must restructure the Veracruz State Comisión de Atención y Protección a Periodistas (CEAPP) in such a way that this agency has the capacity to be a protective mechanism. 10. The State Comisión de Atención y Protección a Periodistas (CEAPP) must, furthermore, provide a detailed report about how it has used its budget resources and, concretely in Gregorio’s case, it must present a report about how it acted. 11. The State Penal Code must define as serious crimes actions that obstruct, impede, or try to stop journalists, media outlets’ offices, and other people from exercising their free speech and information rights. 12. There must be a public policy to allow the State Comptroller to review in an autonomous way the tasks discharged by the State Prosecutor in the investigations committed against journalists, and sanction for omission or negligence those who have not fulfilled their functions. 13. The Veracruz State Fiscalía de Atención a Periodistas y Delitos Electorales must deliver a wide-ranging and detailed report into the progress of the investigations in its charge. 14. Given the elevated figures of threats against journalists in Veracruz, the creation of an autonomous prosecutor’s offices is necessary. 15. A law must be passed that regulates official publicity in the State of Veracruz. 16. To news businesses in the State of Veracruz: we consider it urgent that you comply with the terms of the Ley Federal de Trabajo (The Federal Work Law). We are convinced that the security of journalists begins when they receive fair treatment as professionals and thus guarantee their full labour rights. We recommend creating and promoting security protocols; as well providing training to newspaper sellers so that they distribute the news professionally and do not increase the risk for working journalists. 17. 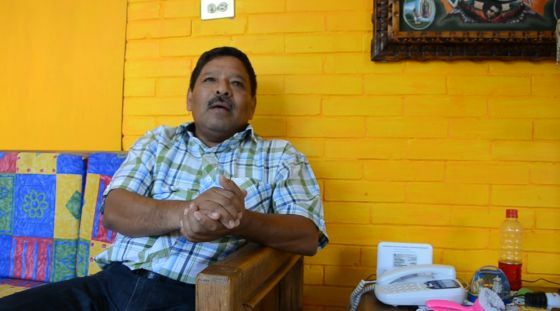 To the businesses Notisur and Liberal del Sur, the Missions asks for the creation of a support fund for the family of its worker, Gregorio Jiménez de la Cruz. This Mission’s members are convinced that collaborative initiatives such as this one may provide a mechanism to help curb censorship and impunity for the lack of results in the investigations that must be carried out by the authorities. This must be an invitation to go further in the defense of freedom of expression and against impunity that surround the majority of the cases of threats, disappearances and murders of journalists in Mexico. The unprecedented, 87-page report of the Misión de Observación may be found here: http://www.clasesdeperiodismo.com/2014/03/19/mexico-asesinato-de-periodista-gregorio-jimenez-no-puede-ser-un-caso-cerrado/. The report was supported by Reporteros sin Fronteras, Periodistas de a Pie, the Casa de Derechos de Periodistas, and the Inter-American Press Association (SIP-IAPA).